There is a Unique activity in TOKYO, mere picking up trash metamorphosis in entertainment and sport. Clean-up relay is a sport of the EKIDEN format. Participants will compete in the amount of trash and arrival order by their team, contributing to beautification of the city. 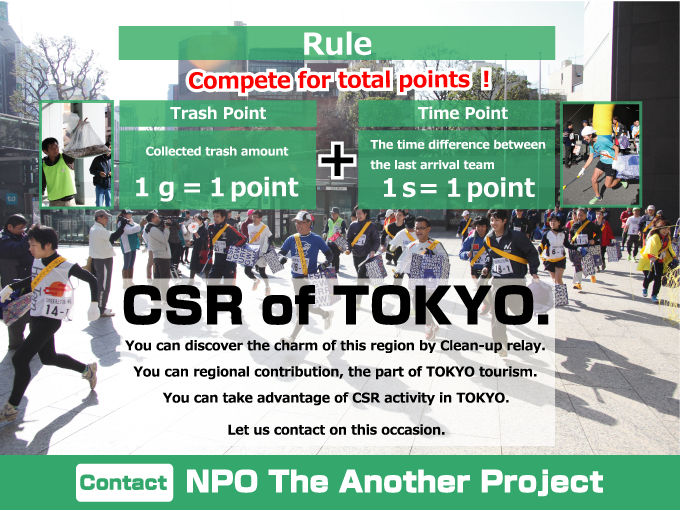 For spontaneous action and unique ideas by ​citizens,TOKYO is said to be Clean City.